SEAMS 2018 was successfully held in Gothenburg, Sweden on May 28-29, 2018. The proceedings are now available in the ACM digital library and the artifacts have been published as issue 1 in the volume 4 in the Dagstuhl Artifact Series. The following three artifacts have been accepted at SEAMS 2018, which are also available in the exemplars section of this page: mRUBiS, K8-Scalar, and SWIM. 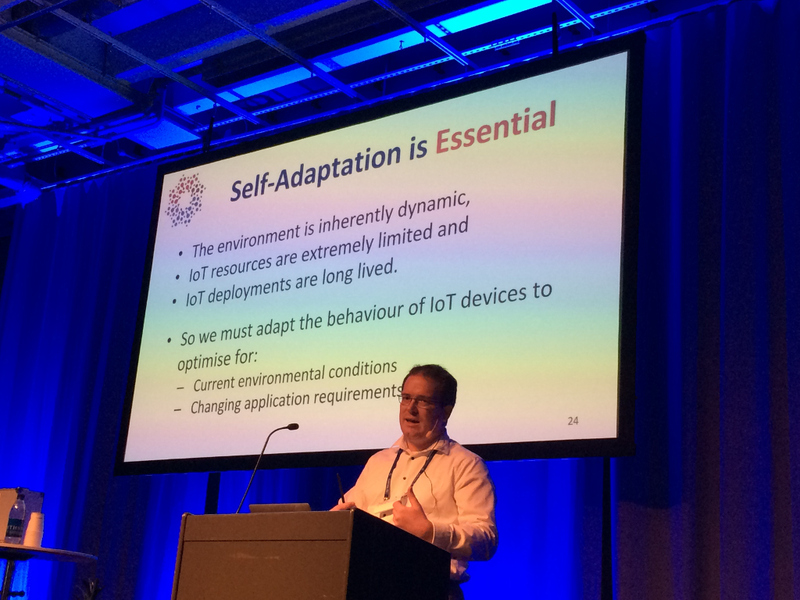 The slides of the keynote "Self adaptive software systems are essential for the Internet of Things" by Danny Hughes are available here. More pictures of SEAMS 2018 can be found at the SEAMS Facebook page, particularly, here for Day 1 and here for Day 2 of SEAMS, and live tweets on the SEAMS 2018 Twitter page.